Colourful Koi in the pond. Koi one of the most expensive fish in the world. Maybe not all of us aware about it, however the most expensive koi ever sold worth 2.2 million dollars in today’s money! Keeping koi is not an easy job, while breeding koi will be twice as hard. If you ever wonder, how this fish become so expensive? 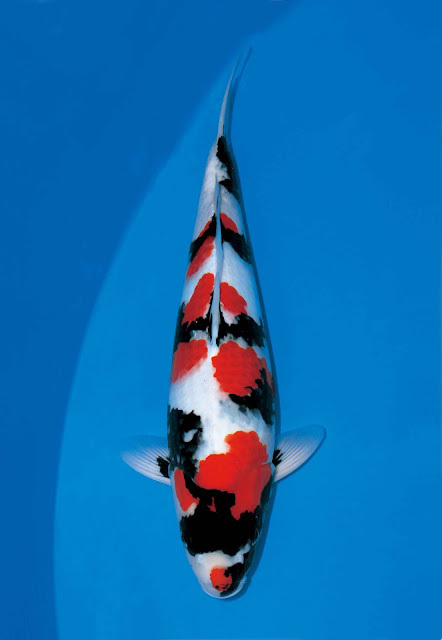 Like many other expensive pets, koi with high values are not originally from the wild species. They actually specially breed for certain qualities to meet few standards in koi classifications. Koi or also known as “nishikigoi”, are coloured varieties of Amur carp (Cyprinus rubrofuscus) that specifically breed for decorative purposes. Koi are distinguished by its colouration, patterns, and scales. Their beautiful colours varies from white, black, red, yellow, blue, and cream. One of the most popular koi known as Gonsake, which is the mixed of Kohaku, Taisho Sanshoku, and Showa Sanshoku varieties. Kohaku - the most famous type of Koi. 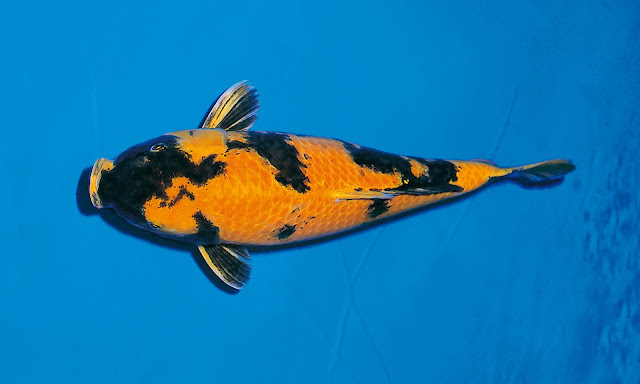 Bekko - yellow koi with black markings. Kinginrin - metallic colour scales types or known as "gold and silver scales". Koi is actually the carp species originated from Central Europe and Asia. However they had been domesticated to produced natural colour mutation for decorative purposes in China more than thousand years ago, and spread to all other part of the world. Today Koi more popular in Japan and there are koi enthusiast almost in many countries with Koi competition every year. To produce beautiful Koi, its need to be carefully breed. In the wild Koi will quickly revert to its natural colouration within few generation. That’s why, beautiful Koi, only can be achieved through selective breeding by professional breeders. Anyway, no one can tell how the final result can be, it still depend on small probability for the breeders to get the right combination from the breeding process. 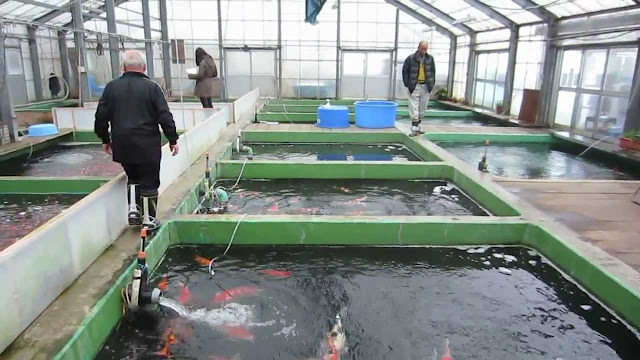 Koi farm in Niigata, Japan. Shōwa Sanshoku (or Showa Sanke) - the black koi with red and white markings. Some of the Koi Types. 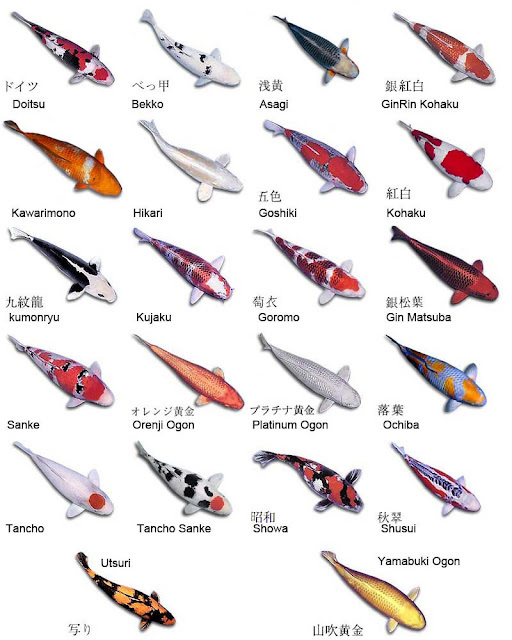 There are few classifications to differentiate the Koi qualities such as colours, size and body shapes, and pattern. There also many varieties produced every year that widen the competition criteria. 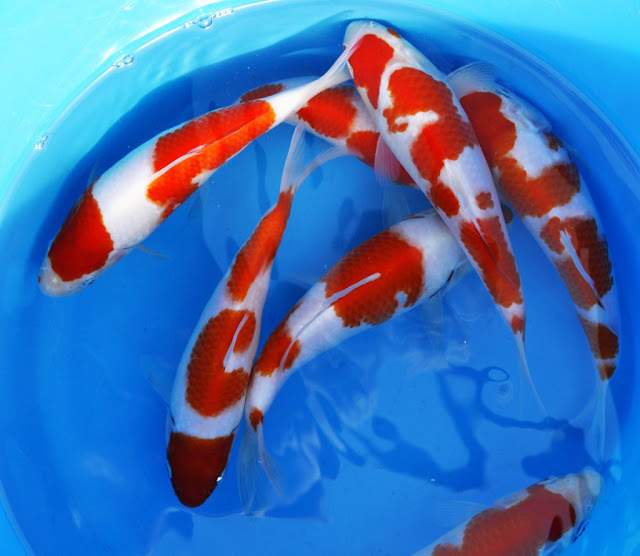 There are many things to learn if you are interest to keep Koi as pet, especially if you have intention to compete in Koi competition. Even though carp is generally easy to keep, but it’s different for Koi. Perhaps we can see more details about this wonderful fish in the next articles. 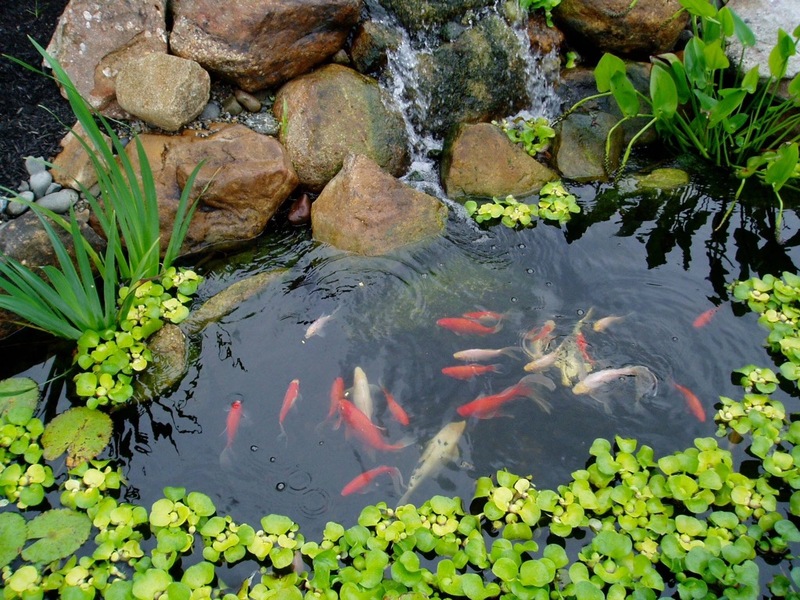 I would always go for an open pond as it helps keep up the natural touch for your home and for the fish as well. Well, it is a well known fact that Koi fishes are extremely beautiful, and people like to keep them in fish tanks and aquariums. It’s not the only reason that makes it so expensive. Actually, Buddhists consider it a sign of courage while Japanese associate it with good luck and happiness.